Two powerhouses from northern Germany meet at the Volkswagen Arena on Saturday (kick-off 15:30CET/14:30GMT) looking to hit the ground running after the international break. 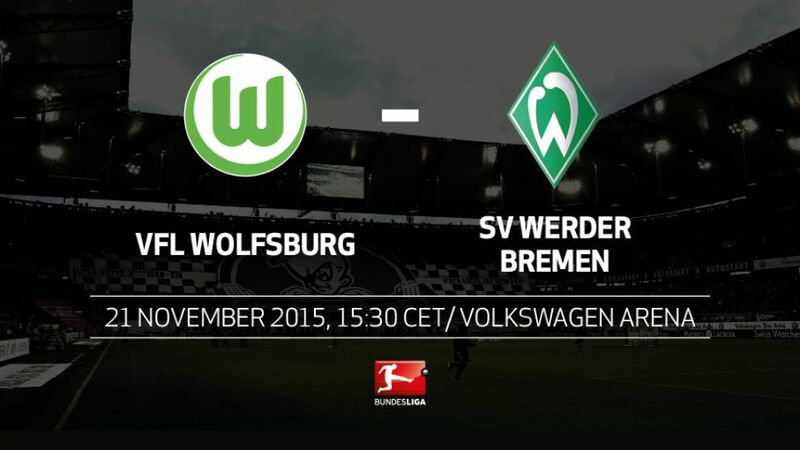 Since Dieter Hecking took charge of Wolfsburg, they have beaten Werder Bremen in each of their five meetings, scoring 16 goals in the process (at least two per game).Wolfsburg have scored more goals against Bremen (63) than against any other side in the Bundesliga.Bremen are, however, the only Bundesliga side to have put seven goals past Wolfsburg, recording a 7-2 win at the Volkswagen Arena in September 1999.Werder have failed to beat Wolfsburg in their last seven meetings (one draw, six defeats). Their last win was on 10 December 2011, a 4-1 in which Claudio Pizarro scored.Die Grün-Weißen have kept a clean sheet against the Wolves only once in the past 16 meetings – a 0-0 draw on 4 December 2010.Bremen have missed four of their five penalties against Wolfsburg.